Reprinted with permission from Doug Kutilek’s As I See It, with some editing. AISI is sent free to all who request it dkutilek@juno.com. It was 4:00 AM on March 5, 2010. The ringing telephone startled us awake from deep sleep. A call at such an hour, while not common, is regularly someone from the dialysis clinic that my wife Naomi administrates, reporting a problem with equipment as they prepare to open the facility for the day. But the voice was that of our Marine Captain son Matthew, who had been in Afghanistan since early last October. Seeming a bit groggy, or perhaps weary (we would soon be able to tell which), his first words were, “I’m okay. I just got out of surgery. I’ve been shot in the leg.” He had our full attention. He went on to say that he had been on a dismounted patrol in hot pursuit of Taliban fighters, and had taken a single rifle round in the right leg, in the shin. He passed the phone on to a nurse who briefly detailed his injuries and assured us that he would recover. He was soon to be flown out from Camp Dwyer, where he received the initial treatment, to a larger base for further care. This wound was received scarcely four hours earlier in the southern reaches of the Helmand province of Afghanistan where Matthew and his men were the “tip of the spear” interdicting infiltrating fighters and supplies coming into the province from Pakistan, just over two hours further south. They were the first line of offense against them, and operating further south than any U.S. forces had been since the war began. As soon as Matthew was hit, he was immediately and quickly cared for by Navy Corpsman Huong “Doc” Thai, who packed the wound, applied pressure bandages, applied a tourniquet on the upper thigh, and gave Matthew a couple doses of morphine. In short, he saved him from a fatal bleed-out. His radio man re-directed an already in-coming medevac chopper to pick him up. Then First Sergeant Charles R. Williams, a mountain of a man at 6’2” or 6’3” and 265 pounds, threw the crippled Captain over his shoulder and hurriedly carried him some 150 yards to a safe landing zone out of the line of fire on the back side of a building. The helo pilot soon swooped in, retrieved his human cargo, and in short order delivered him to the forward field hospital about ten minutes after the wound was received. About four hours after Matthew’s first phone call home, we received our “official notice” by phone from a Marine gunnery sergeant at Camp Lejeune, North Carolina, informing us of Matthew’s wound. The sergeant, or rather, the information provided to him, mistakenly indicated that it was Matthew’s left leg that was injured. We spent the day in anxiety, prayer, and tears and in sending out hundreds of e-mails and making numerous calls to family and friends requesting prayer for Matthew. We were on pins and needles until we heard from Matthew again, this time at 11:00 PM, Kansas time. He was clearer and more forceful on the phone. He had had a second surgery, and was now at Camp Bastion, a British facility. From there, he would soon go to Bogrom Air Base, and then fly out to Germany and ultimately to the States. We spoke to a nurse who detailed his injuries: a badly broken tibia, and considerable damage to blood vessels, nerves and muscle in his right calf. All told, from the first wounding through the second surgery, he had been given seventeen units of packed cells or whole blood. For the first time we understood that he had nearly bled to death. We heard nothing more from him for about 40 hours, and knowing all the things that can potentially go wrong after traumatic injury and emergency surgeries—blood clots, a sudden bleed-out from an artery, infection, poor circulation requiring amputation, and more—we were concerned, no, distressed, until we heard from him again on Monday. We did receive a call at the house on Saturday afternoon from a Brigadier General in Afghanistan who knew Matthew personally and had gone immediately to visit him when he discovered that Matthew had been wounded. The General assured us that he was doing fine and would soon be on his way to Landstuhl in Germany. This was quite encouraging, but we had to wait almost 30 hours more for further news. Meanwhile, we learned of available assistance provided to families of wounded Marines by the Marine Corps and several non-profit organizations, including air transportation to and from Washington (or wherever the medical facility might be), ground transportation from the airport, lodging and meals at no expense for up to three family members for as long as the Marine was hospitalized, and more. We would soon be experiencing personally the high level of concern and support that these people and organizations provide. Finally we learned that Matthew had arrived in Germany on Monday and was scheduled to fly out Tuesday to Andrews Air Force Base near Washington, D.C., to be driven from there to Bethesda Naval Hospital in Bethesda, Maryland. Due to potential delays, canceled flights and other complications, no travel to Washington could be booked for us until the flight from Germany was actually in the air. So we waited and waited and waited. Finally, we were informed that the flight had indeed been delayed due to weather, and then canceled outright due to a mechanical problem that could not be resolved. So, Matthew, having spent 12 uncomfortable hours on a stretcher on the plane waiting for the flight to begin, was taken off and returned to the base hospital. Wednesday, the doctors in Germany decided that Matthew needed surgery right away and could not wait until he arrived in the States, so they put a metal plate and about nine screws in his leg to stabilize and set the shattered tibia. The next possible flight to the States would be Friday. More waiting, and packing and waiting occupied us until Friday. Finally, early in the morning we were informed that Matthew (along with several other wounded men) had indeed taken off in a C-17 Air Force plane and we could now make travel arrangements. Because of college spring break, it was impossible for us to get any flight out of Wichita until Monday at the earliest. The best the travel people could come up with was our driving three and a half hours to Kansas City, taking a flight through Chicago, and arriving (if our flights were not canceled) well after midnight, with no chance to see Matthew until Saturday at the earliest. One of the vice-presidents at DaVita, the kidney dialysis company for which Naomi has been a facility administrator for more than a decade, learned of our situation and promised to see if a private plane could be chartered by the company to fly us directly to Washington. In just 30 minutes, all was remarkably set up—a Cessna Excel would fly us directly from Wichita to Dulles outside of Washington. We would depart in mid-afternoon (just four hours later). These arrangements allowed for our older daughter Rachel and her infant Leah to go as well. On the flight, I conversed with the two pilots, both in their early–to–mid–thirties. I discovered that they were fellow-believers, and one had been studying lately, and in depth, the question of when the rapture would take place in relation to the Tribulation period. At Dulles, one pilot even assisted us in carrying our bags to the car. Though I am a writer of long experience and am rarely at a loss for words, words fail me to adequately express the gratitude and deep appreciation we feel toward the people of DaVita who went far beyond “the extra mile” to see that we were able to get to be with Matthew almost from the moment he arrived and were spared all the worries and troubles our travel would otherwise have presented. We landed at Dulles about the time Matthew arrived at the hospital, and were met and driven by a Marine gunnery sergeant the forty minutes or so through typically nightmarish DC Friday night traffic—and it was raining, besides—to Bethesda Naval Hospital. We checked into the Naval Lodge, where we had two rooms reserved (and provided at no expense to us by the Semper Fi Fund, and for as long as we needed to stay), about a quarter mile walk from Building 10 were Matthew had been admitted an hour earlier. In short order, we dropped off our bags, got back in the Marine van and were at the hospital and up to his fifth floor room by 8:20. A relief it was to see him—his color was good, his spirits were good. How different it might easily have been. His wife, Andrea, who has been “holding down the fort” in Jacksonville, North Carolina with their two daughters Emma and Lilly (and awaiting the birth of their third, come May) during Matthew’s deployment, had been driven up by a friend earlier in the day and had been present when Matthew was taken off the bus and wheeled into Bethesda. When we finally left the hospital for the hotel around midnight, some of our things were carried to the lobby for us by a Marine Lieutenant Colonel, who had been on duty since before 7:00 AM. Over the next week, Matthew had his first physical therapy session—excruciating pain as the tendons, muscles, ligaments and joints of his right foot and leg were manually moved for the first time since the trauma of Friday the 5th, 9 days before. Then the calf and foot were placed in a protective boot, which required that the foot which had been distended since the injury be moved to a 90 degree angle. It was agonizing for him to endure and for us to watch. He stood briefly, with assistance, for the first time on Saturday (or was it Sunday? The days run together in my mind). Over the next several days, he would progressively sit up in a chair, take his first walk with, as he put it, “an old man’s walker,” then upgrade to crutches, be wheeled about the building, and out of the building for some fresh air in a wheelchair. He would visit several of his men who were also in the hospital being treated for wounds received in Afghanistan. We were blessed to be able to spend 12-15 hours daily for nearly a week with him, caring for him, and meeting his every request and need. He had his final(?) surgery—his 6th or 7th—on Monday the 15th, the doctors finally closing up the surgical incision made in his leg in Afghanistan to prevent swelling, and taking a skin graft from his thigh to close it. While the injuries to his bone, muscles, ligaments and skin are healing well, he has developed unrelenting nerve pain in his foot. He describes it as a combination of a hundred needles, a taser shock, and fire. So far, no long-effective treatment for it has been discovered by the team of doctors. May God give them wisdom. To my mind, the best “medicine” of all has been the visits from friends, including a number of class-mates and friends from the Citadel, where Matthew graduated in 2001 (some drove more than 7 hours to see him); former students from the Citadel when Matthew was the Junior Marine ROTC instructor there 2005-2008 (these drove up in several groups from Quantico, Virginia where they are now in The Basic School); a fellow student and also a former instructor at the Expeditionary Warfare School, also at Quantico, which Matthew attended 2008-2009; three of his men who served with him in the 1/8 (1st Battalion, 8th Marines) in Iraq from July 2003-January 2004, who came as a group on a single day’s notice from Boston, northern New Jersey and Delaware; his gunnery sergeant from the 1/8 who drove up from Durham, North Carolina, and patiently waited almost 6 hours for Matthew to get out of surgery and the recovery room on the 15th; his other sister Sarah and her family who came up from Arkansas for two days; and many others beyond my limitations of space to mention. And of course there have been visits by numerous generals (a couple of 3-stars), sergeant majors, master chiefs, a Deputy Secretary of Defense, and others. On Tuesday, March 23, the Commandant of the Marine Corps, four-star General Conway, visited and presented Matthew with his purple heart. Several times during our week’s stay, a church, a country club, and a private organization provided respectively three excellent meals on the floor for all patients, their families and hospital staff. Adequate words of appreciation for the kindness and generosity of so many are hard to find. We hope and pray that the nerve pain might be brought under control, or vanish altogether, so that Matthew will be able to be discharged and return to Camp Lejeune, even in the next week or so. But whenever that occurs, he still has several months of recuperation (besides the nerve pain issue) before he can put any weight on the leg at all, and months more before he can walk on it normally. How—or even if—all this will affect his future service in the Marine Corps cannot be determined at present. Your continued prayers for him and his wife Andrea, as she ministers to his needs, are solicited. Regular updates on his progress are posted at a website set up by his sister Sarah. Editor’s note: Doug says Matthew’s nerve pain is slowly improving now. Doug Kutilek is the editor of www.kjvonly.org, a website dedicated to exposing and refuting the many errors of KJVOism and has been researching and writing in the area of Bible texts and versions for more than 35 years. He has a B.A. in Bible from Baptist Bible College (Springfield, Mo. ), an M.A. in Hebrew Bible from Hebrew Union College (Cincinnati; and completed all requirements for a Ph.D. except the dissertation); and a Th.M. in Bible exposition from Central Baptist Theological Seminary (Plymouth, Minn.). His writings have appeared in numerous publications including The Biblical Evangelist, The Baptist Bible Tribune, The Baptist Preacher’s Journal, Frontline, Journal of the Evangelical Theological Society and The Wichita Eagle. The father of four grown children and four granddaughters, he resides with his wife Naomi near Wichita, Kansas. 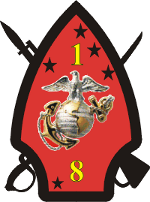 I noticed Matthew was in 1st Battalion, 8th Marines. I am currently the battalion chaplain for 1/8. Matthew's battalion is still deployed and really has been doing some good things over there. Praising God for His mercy and praying for His healing! Praise God for His grace in this matter and thank God for men like your son. His service and sacrifice for our country have not gone un-noticed. We will be praying for him and for your family. What an encouaging article. It is great for us to realize there are still those that will come along side to help both physically and spirtually. God Bless your family! As for you Captain Matthew Kutilek, Get well soon, "SEMPER FI" Skipper! Doug, I appreciated this especially for the insight into what life is like for family members when a soldier is wounded. That an a good reminder of what folks are facing "over there." When I read this I had my wife read this and then we prayed for your son and all your family. Thank your son and his family for their great service and sacrifice. Our oldest son was a Marine in the first Middle East War in Kuwait. He almost lost his leg. It was touch and go due to pocket syndrome. He healed completely and is in law enforcement. He is now in narcotics enforcement. Last Sunday we were at he and his wife's home for Easter dinner. They also had as a guest a young lady with her four children who attend their church. She lost her first husband, a Marine, in the Iraq war. They both had accepted Christ just a few months prior to his deployment and he was endeavoring to live for Christ. She is now remarried to another who is a Marine, a Captain, who just left for Afghanistan about two weeks ago. He is a good friend of my son. We prayed for him and her and the children. She and her Children appear as really dedicated to Christ. A young man, who was saved in the former church I Pastored, was in the Iraq war initial invasion. He was a Captain in the Army reserves. He came home and went to Seminary and then was admitted to the regular Army Chaplain Corp. He is now in Iraq again. We keep in regular Email contact. He has seen several profess Christ that he feels are real conversions. We need to be aware of the constant sacrifice going on in our behalf. I came to Christ while in the Navy about fifty years ago. We need to pray for all in Iraq and Afghanistan. God is able to use the evil that brings war to good outcome. Many of our best young men and women are serving in the military. Perhaps God will give this nation some who have the faith, moral courage and foundation to save us as a nation. We will continue to pray for your son and all your family. By the way, your face in the picture seems familiar. I graduated from Central Seminary in 1975. Were you there during that period? Just curious. Thanks for this article, and the first hand impact of the war on one family. Unfortunately, there are many like your son who have been injured; and we need to continually remember them and their families in our prayers. I've had to do too many memorial services and funerals related to Iraq and Afghanistan, so I'm very glad to hear that your son is alive and healing. I will be praying for a full recovery. I'm also glad to hear that the Marine Corps has been treating your family as well as your son well. Wounded Warrior Battalion and all of the non-profits that are out there for family support do an incredible job supporting and it is great to hear how well they are doing. Your son and your family are in my prayers. I would encourage everyone to keep the rest of Weapons Company 2/2 in your prayers as well because it is never easy on a unit when they experience a combat loss.